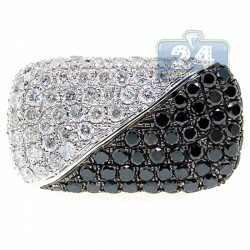 Stay fabulous with this fantastic creation! 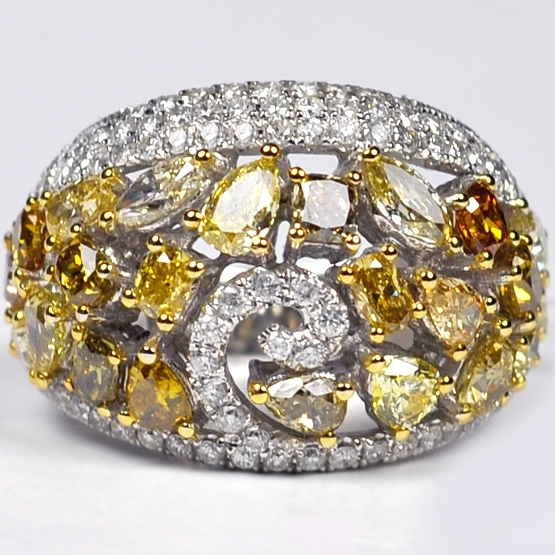 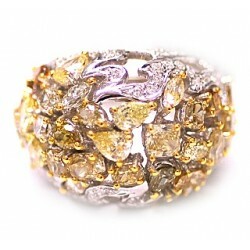 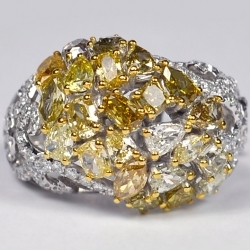 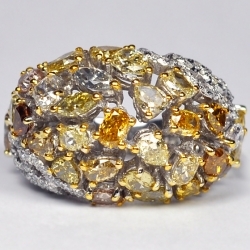 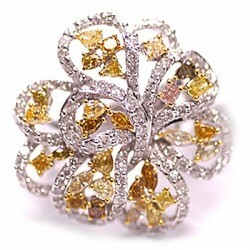 Our dome ring features one of a kind design that is inspired by vintage luxury! 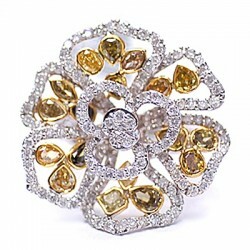 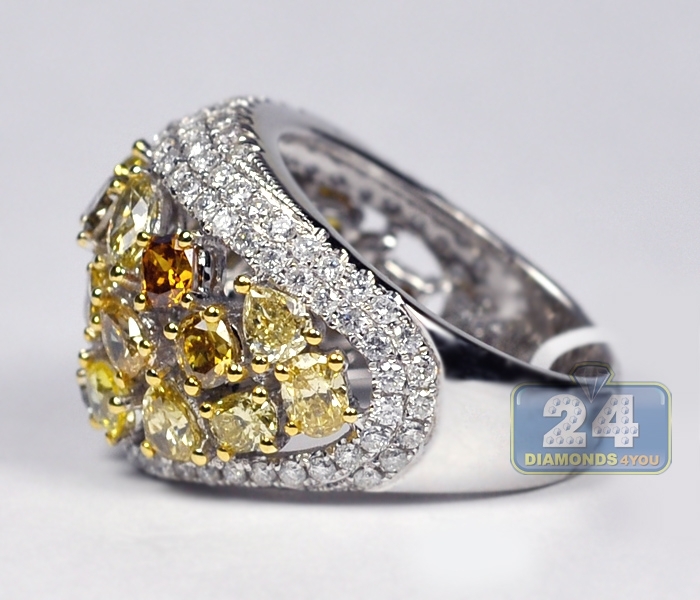 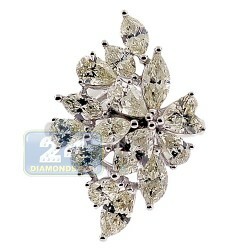 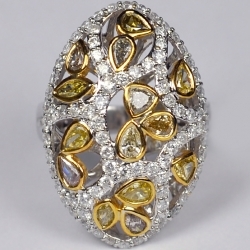 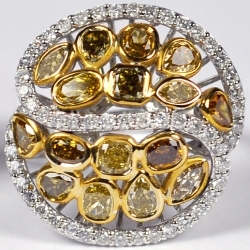 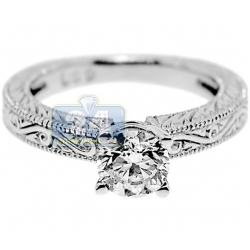 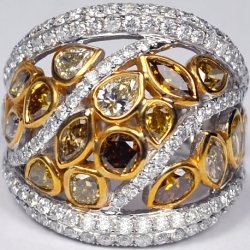 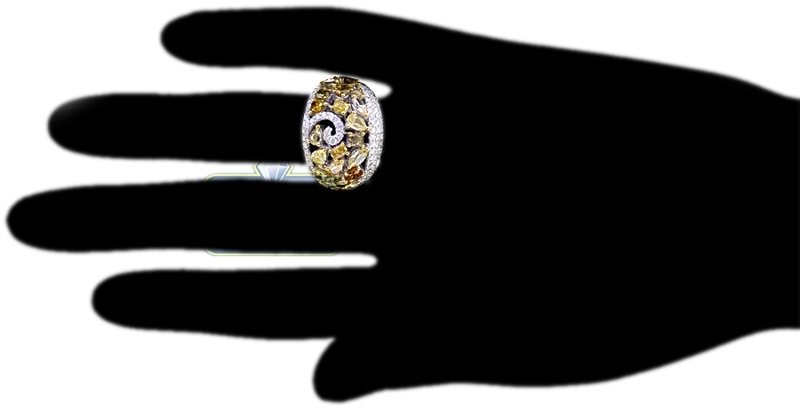 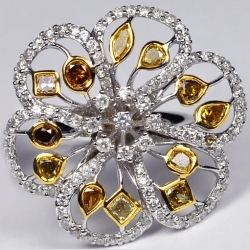 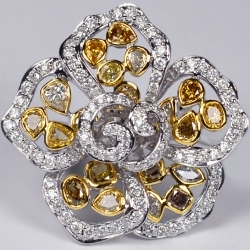 Shiny polished 14k white gold setting is richly encrusted with genuine multi-colored diamonds of oval and pear shape. 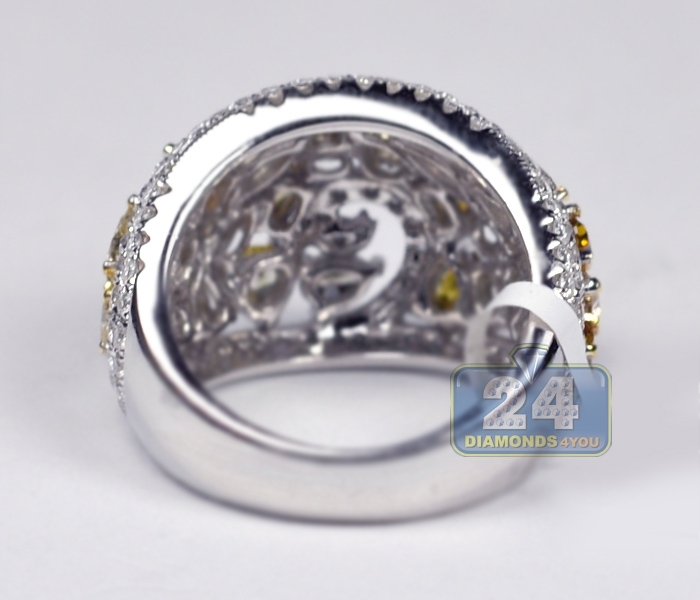 Icy white round cut brilliants are also presenting on sides as well as central swirl element. 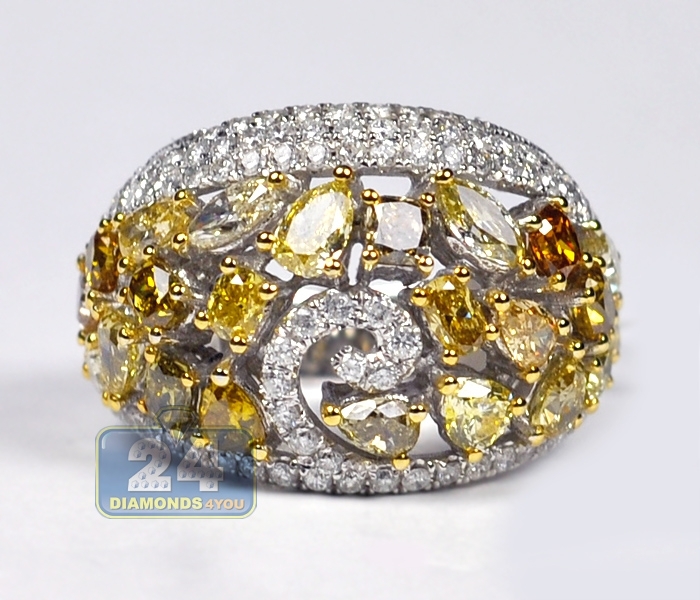 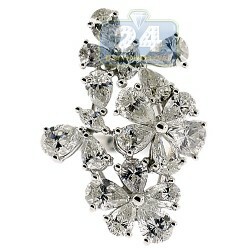 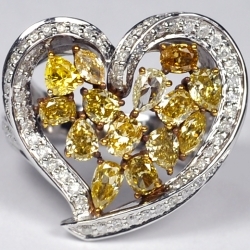 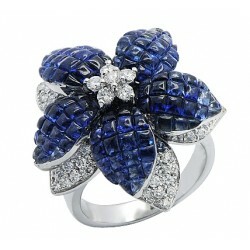 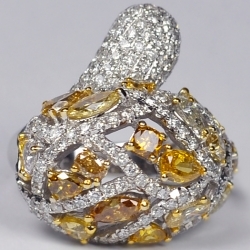 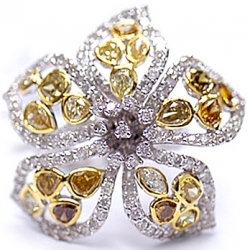 All precious stones are weighting 5.06 carat in total. 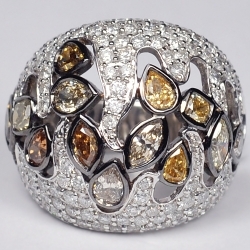 What a lovely combination of warming colors and elegant look!